Home Inspection: A buyer’s inspection contingency is the condition that the buyer is happy with the report written up during a professional inspection of the property. This contingency ensures that the buyer doesn’t end up purchasing a property that needs thousands of dollars worth of repairs that they weren’t aware of. Financing: A financing contingency is a condition in which the buyer must be able to secure an acceptable loan or other type of financing in order to purchase the house. This contingency protects both the buyer and the seller in case your loan falls through at the last minute and you aren’t able to secure the necessary funds to purchase the house. Title: This contingency allows the buyer to back out if the seller cannot prove that they have a valid legal title to the house. A title contingency helps to protect buyers from scam artists that are attempting to sell property they do not own or only partially own. These are some of the more common contingencies—but sellers can also add other types of contingencies if they desire—such as a condition that they must find another home to purchase before you can move in. For more information about contingencies or advice on buying a home in Fort Mill, contact us at Randy Lindsay today. house also gets plenty of light. A dark home isn’t very inviting and tends to make the house look smaller. Change hardware – Does your kitchen hardware look outdated? Upgrade the hardware to give your kitchen a visual boost. Clean up the yard – Curb appeal matters – if your property looks bad, many buyers won’t even bother coming in. This means that you should clean up your yard, sweep your sidewalks, cut the grass and trim your bushes. Add scent – Do you have pets in your home? First of all, you’ll need to remove them when showing the house. Secondly, you’ll want to get rid of the pet smell. Open up the windows beforehand to cycle in fresh air. Then add pleasant scents by adding fresh flowers or baking fresh cookies to make your home smell good. Replace switch plate covers – You may not notice, but switch plate covers can get pretty dirty over time. Replace them if needed. Use these quick fixes to ensure your home is in the best shape to show. 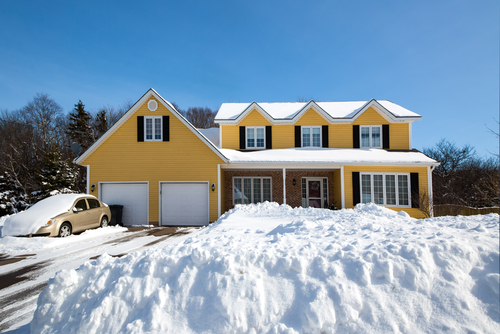 For additional tips on selling a home in York County, contact Randy Lindsay. When it comes to buying a home in York County, it’s always recommended that buyers get pre-approved for a mortgage loan before they begin looking at houses. You’re going to be in an awkward situation if you find a house you like, make a bid, and then find out your mortgage application has been rejected. When you go to your lender to get pre-approved for a mortgage, understand that there is a difference between being pre-approved and being pre-qualified. 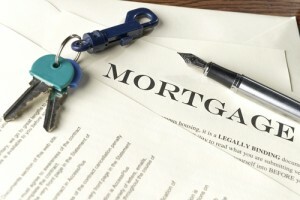 Mortgage pre-qualification is the first step in the mortgage application process. It consists of speaking to your lender about your overall financial situation, which includes going over your income, your assets and your debt. The lender will give you an idea of how big of a mortgage you may qualify for using only this information. However, it’s done without the knowledge of your credit score or credit history and the amount you pre-qualify for isn’t necessarily the amount you’ll be approved for. Once you’ve been pre-qualified, you’ll need to fill out an official mortgage application. The lender will then do an extensive background check on your financial background and credit rating. So even if you have some assets, a decent income and little debt, you may not be approved for the amount you qualified for if your credit history is horrible. The amount that you are pre-approved for acts as a conditional commitment from your lender for an exact amount, which means you’ll know the exact price range of homes you can afford. Make sure you don’t just get pre-qualified but that you get pre-approved for a mortgage before looking at buying a home in York County. For additional York County real estate advice, be sure to contact Randy Lindsay today. 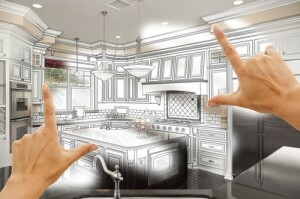 Which Renovations Can Mean a Higher Selling Price for Your Charlotte Home? If you’re planning on selling your Charlotte-based home, then you’ll want to do a few things to prepare the property before you put it up for sale in order to improve your chances of selling at the price you’ve set. In fact, if you’ve got the time to spare, it’s recommended that you invest in a few renovations to help further boost the value of your house. The following are a few home improvements that will increase the value of your metro Charlotte real estate. Kitchen – One of the areas that homebuyers will look at first is the kitchen. Consider adding a fresh coat of paint to cupboards and walls, installing new kitchen hardware and upgrading light fixtures and water fixtures. If the appliances in the kitchen are old, you may want to consider upgrading them as well. Energy-efficient appliances are a big selling point these days. Bathroom – If you’ve got a bathroom that feels a little bit cramped, have the bathtub removed and install a curbless shower. Not only will you make the bathroom feel more spacious, but you’ll make it more accessible as well – a big plus for buyers looking for universal design. Like the kitchen, upgrading the hardware and fixtures can help add value as well. Windows – If your home’s windows are older, you may want to think about replacing them. Old windows can often be an eyesore, not to mention difficult to operate. Newer energy efficient windows will improve your home’s curb appeal as well as make it more energy efficient – and many buyers are looking for energy efficiency as a way to reduce their environmental footprint as well as their energy bills. These improvements can help boost your selling price. Contact us at Randy Lindsay for more advice on selling metro Charlotte real estate today.